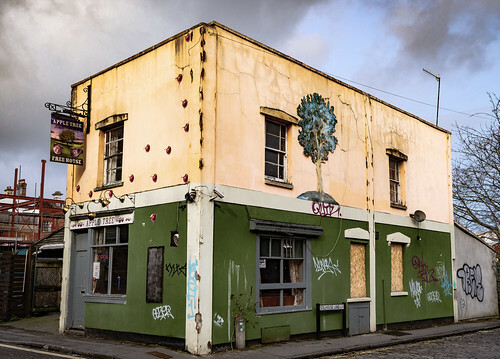 Now there’s a pub (I take it) with history written all over its face. Where is Stillhouse Lane? A pub, I see. Nice shot, and it gives a great sense of the surrounding neighborhood. I like anything with trees. This is very nice.